Would you recommend Oversight to a friend? It simple, no fuzz and it works. objective-see knows about mac security and privacy. Jonathan Martinez has used this product for one year. @akim_kasabulatov holy molly! that's crazy. My iMac's camera LED randomly came on this morning for a few seconds before going off again. That led me to discover this app, which is exactly what I was after. 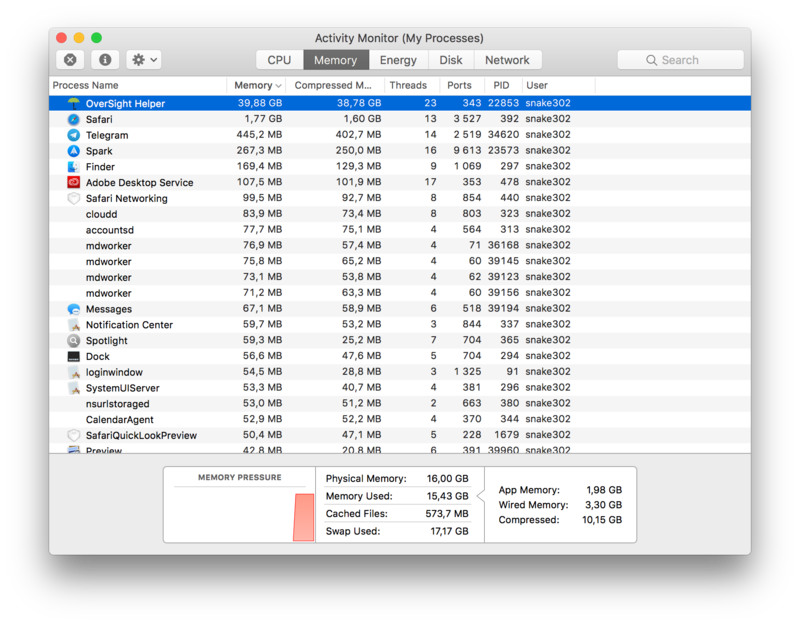 I want to know which specific app or process is using my Mac's camera at any given moment. How can I trust this isn't also malware? Is the code open-source and auditable? Nice product! Is it open source? @maicol_bentancor Nope, it's not open source. It's made by Patrick Wardle, one of the world's authorities on security of the Mac. All of his excellent security tools are free with the option to become a patreon if you like his work.